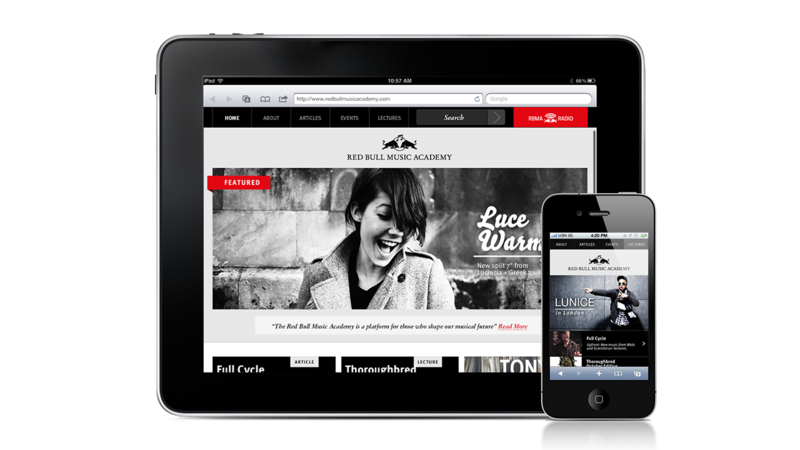 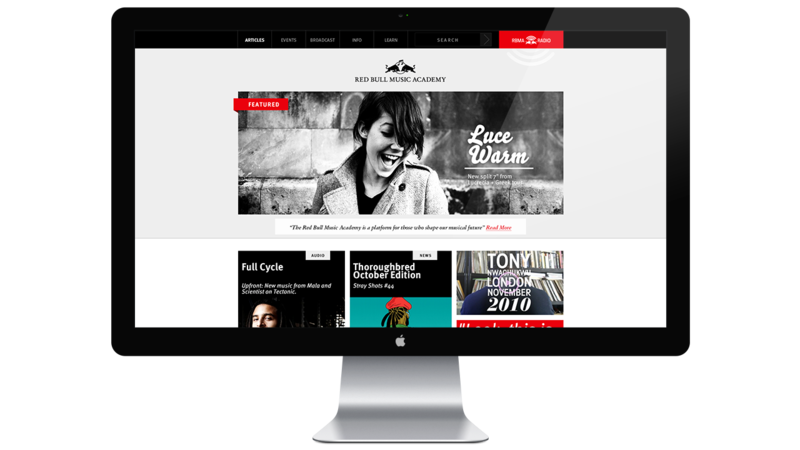 In 2011 I was asked to art direct and create all visual collateral for Japan’s first Red Bull Music Academy. 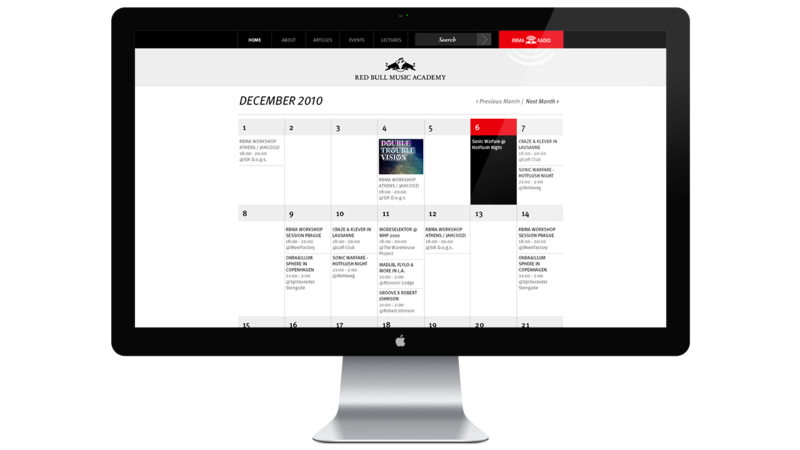 Music Academy is a month-long event that helps music producers evolve their skills via seminars with famous musicians. 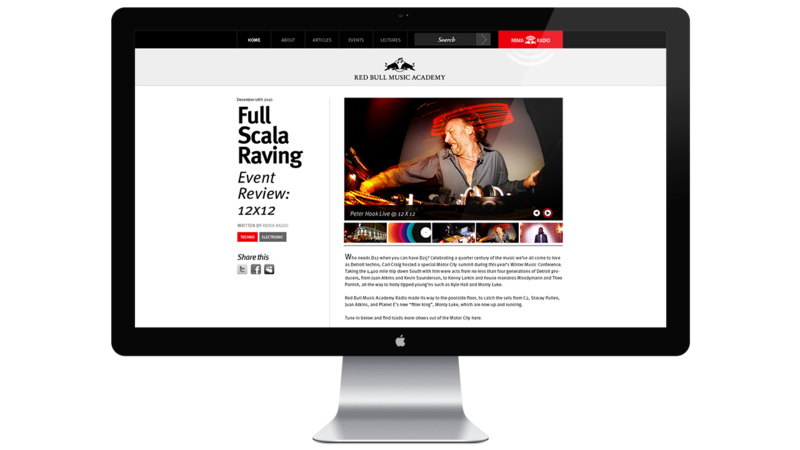 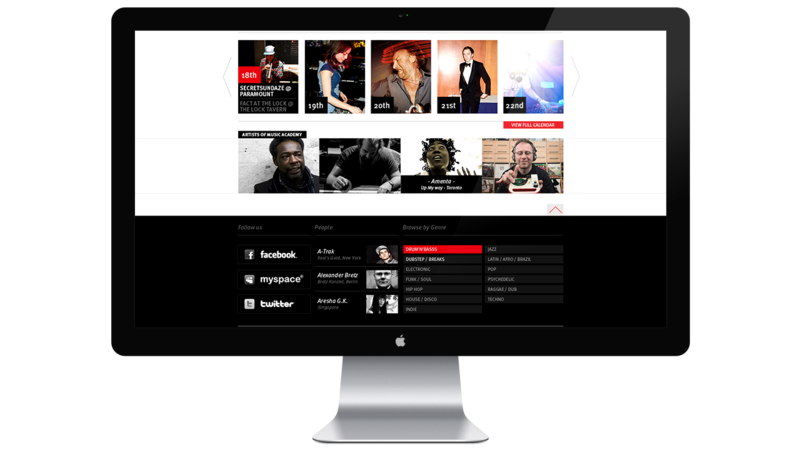 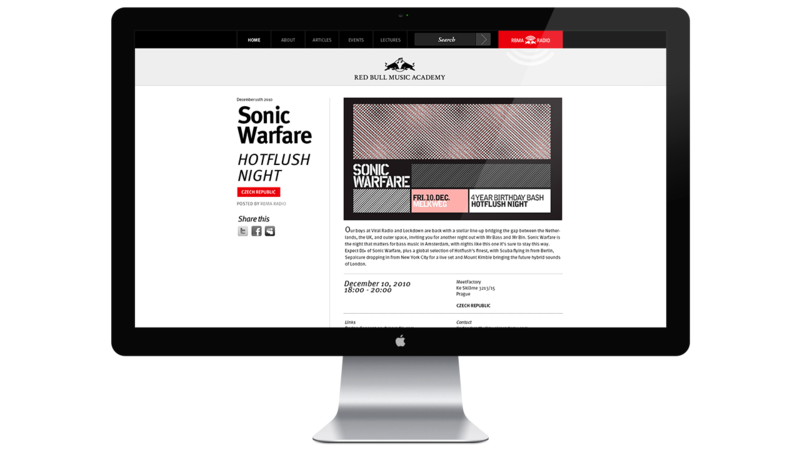 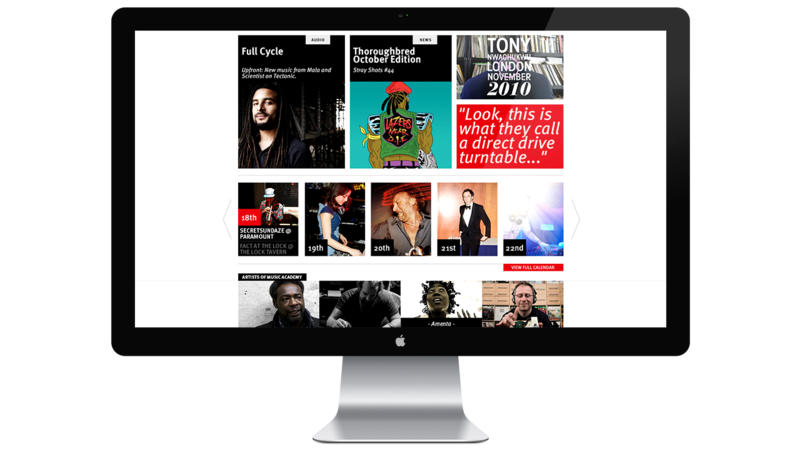 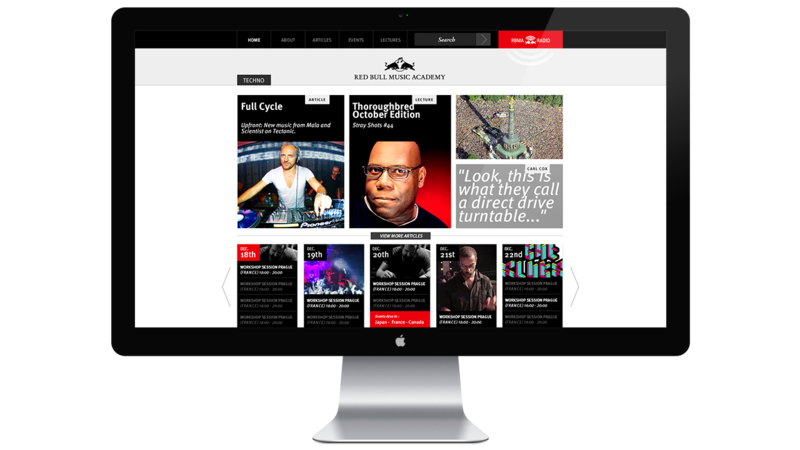 The resulting website, which was the centerpiece for showcasing project, included blogs, articles, and event listings for aspiring musicians and event attendees.